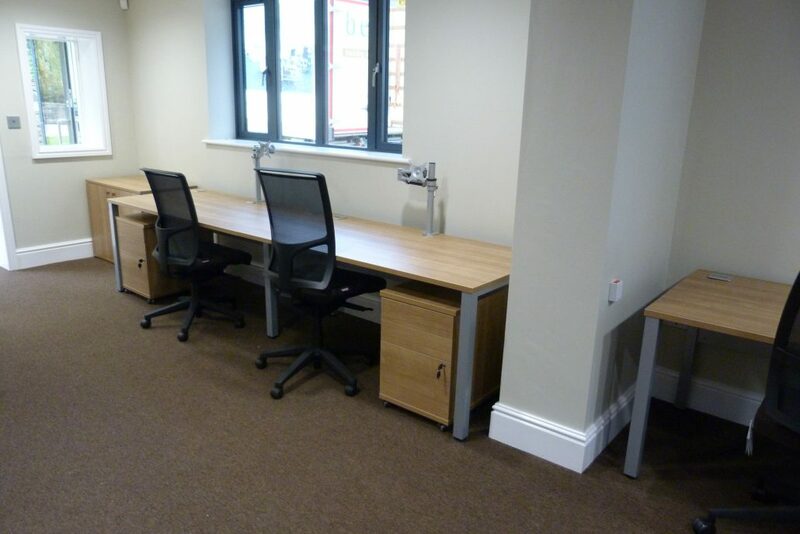 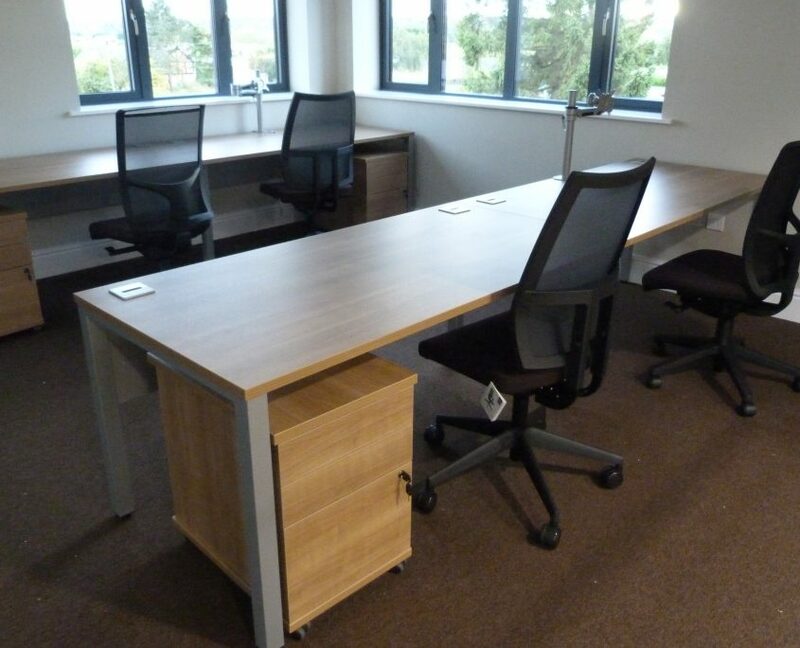 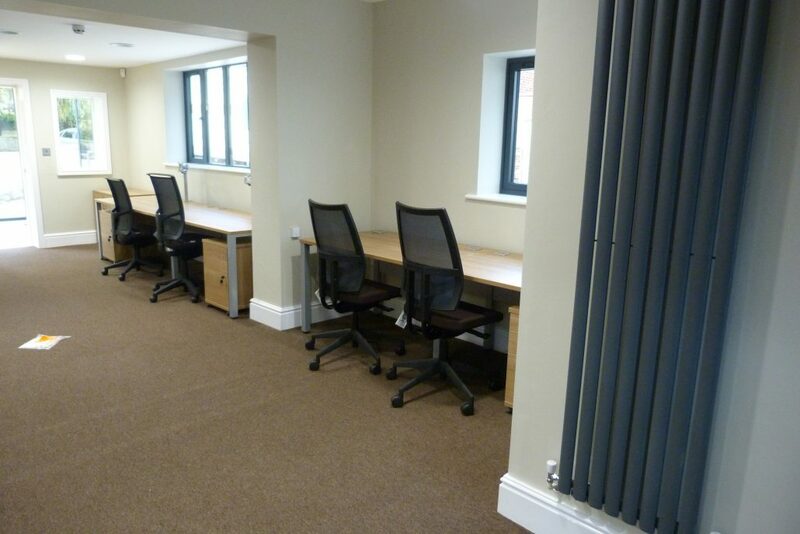 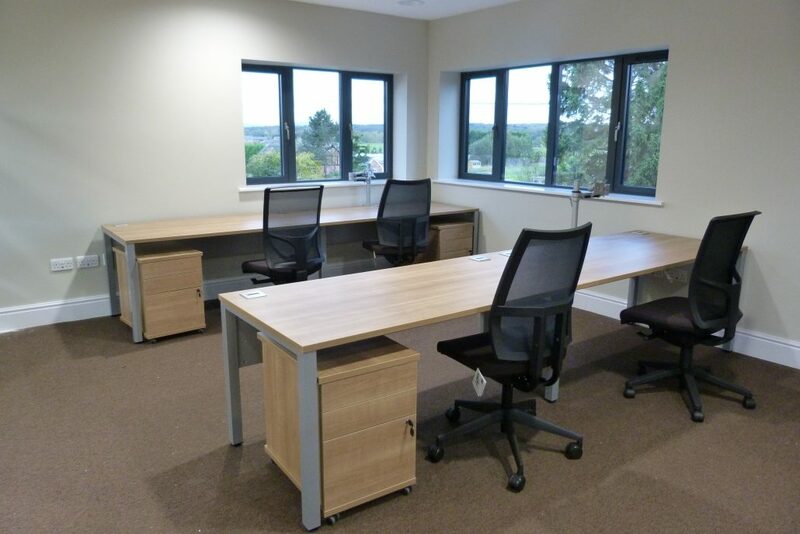 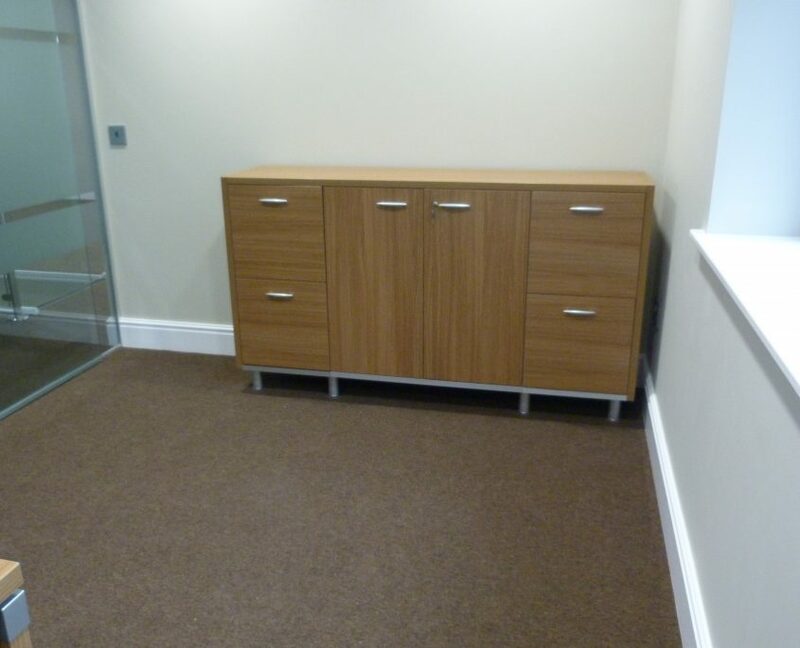 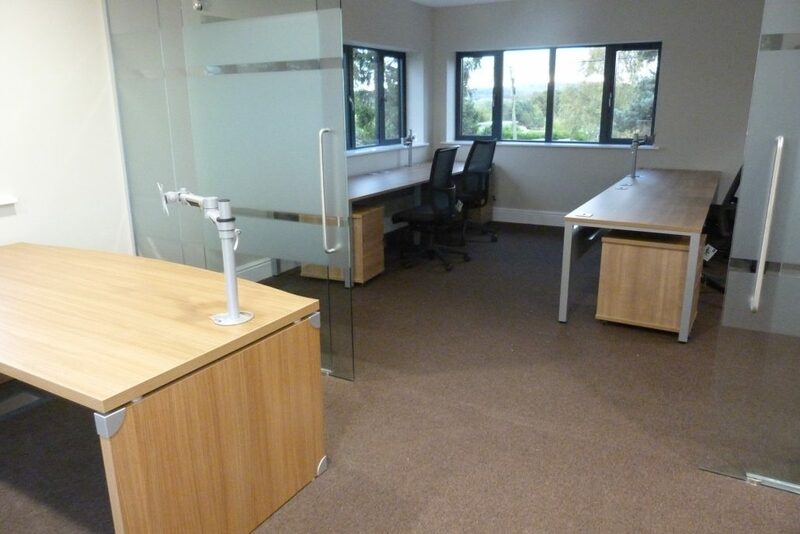 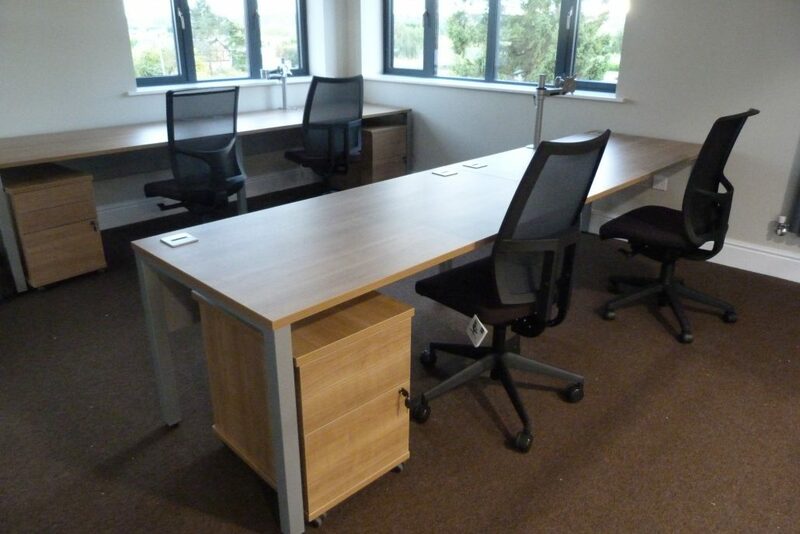 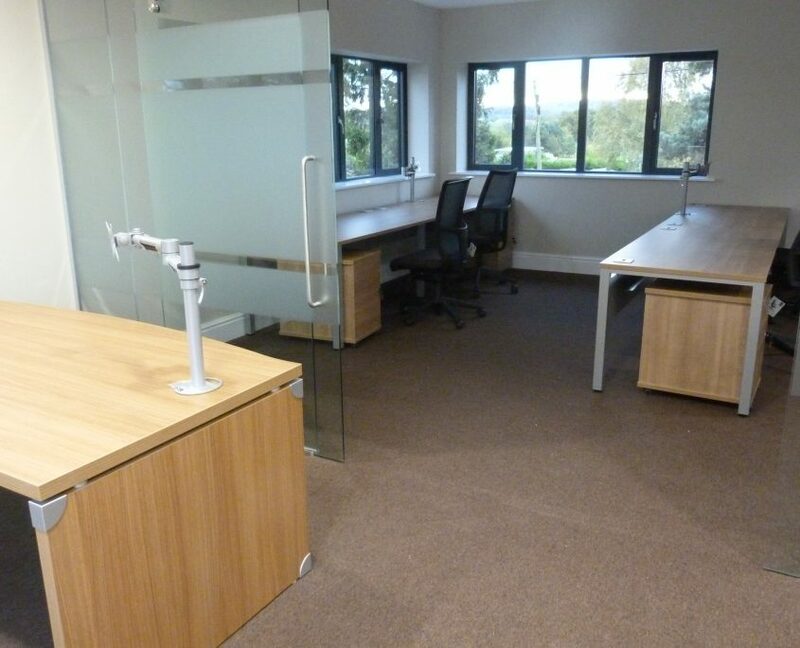 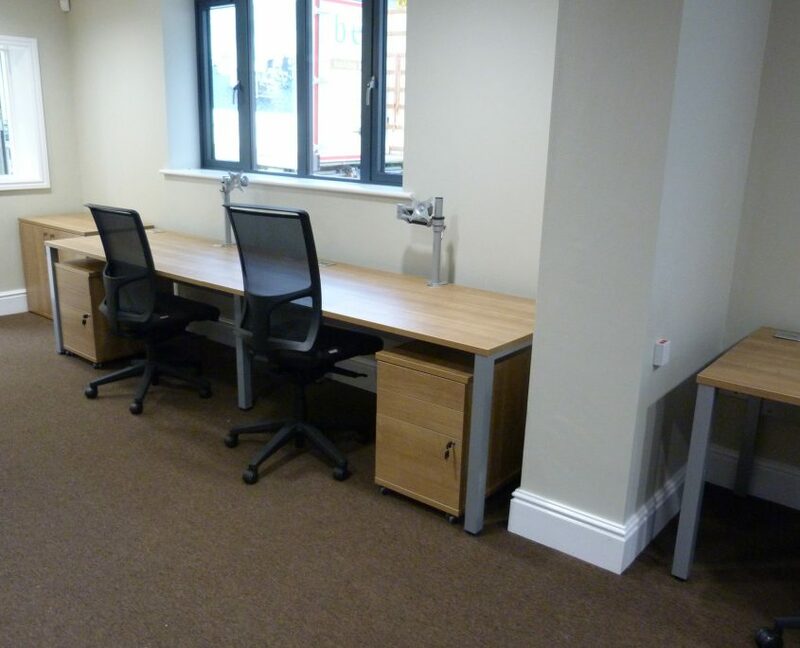 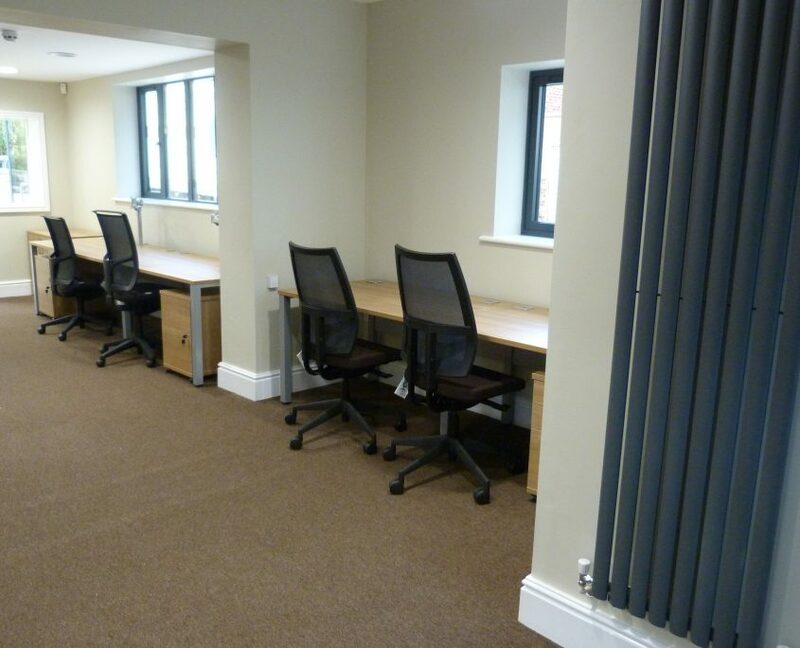 We have recently supplied a new office furniture design for E Park & Sons offices. 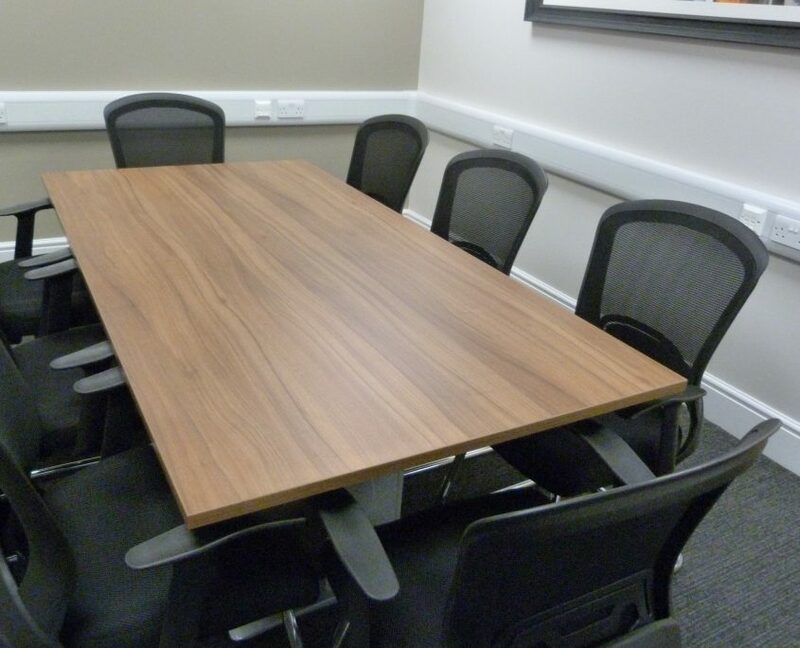 This includes new boardroom furniture, an executive section and a few main offices. 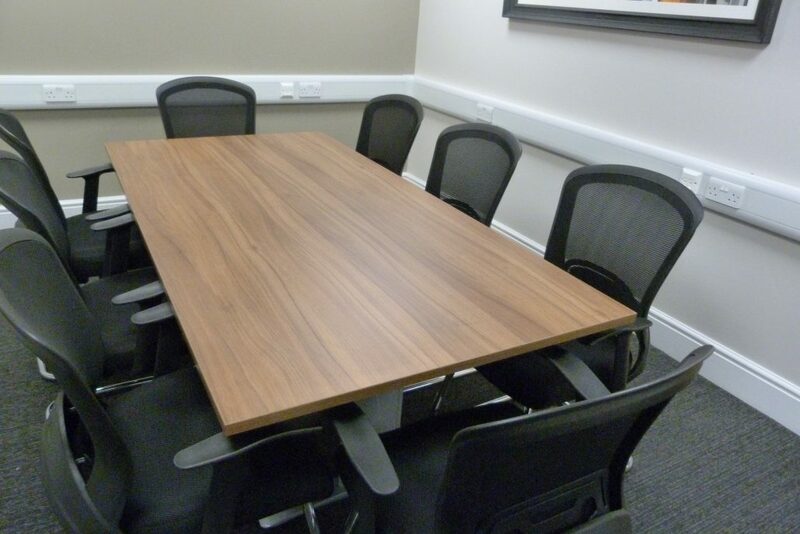 In the boardroom we supplied a 2.5 metre walnut boardroom table with effex legs which seats up to 8 people. 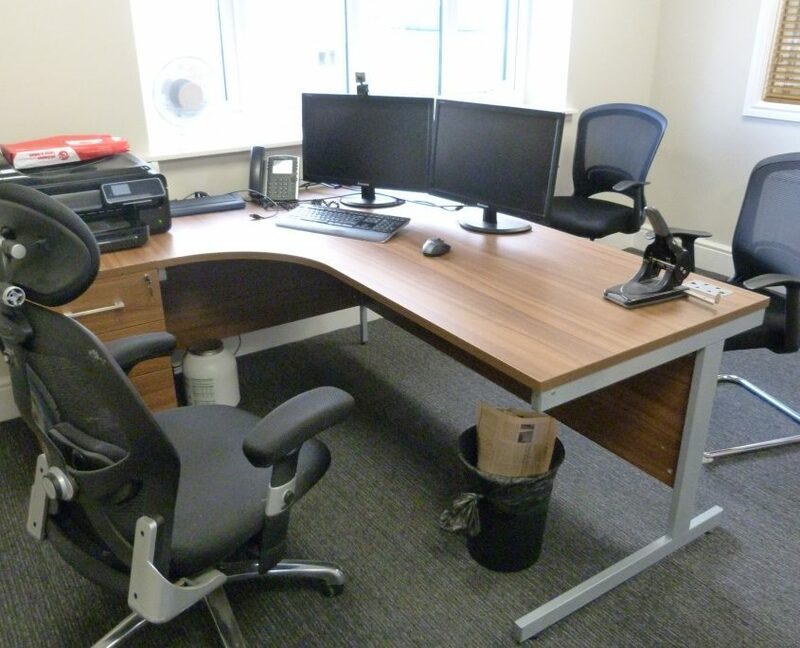 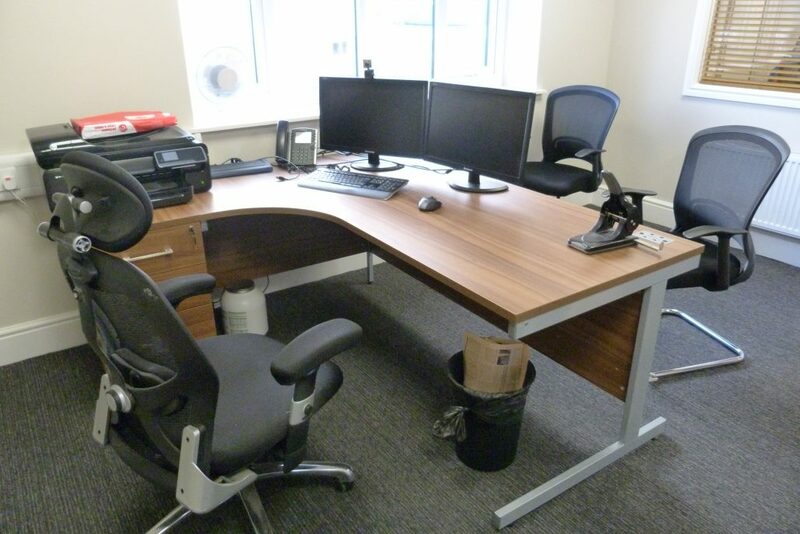 We then supplied a sirius radial desk with desk high pedestal in the same walnut finish on cantilever silver frames, this shown with the two monitors on the desk, which shows the space of the desks. 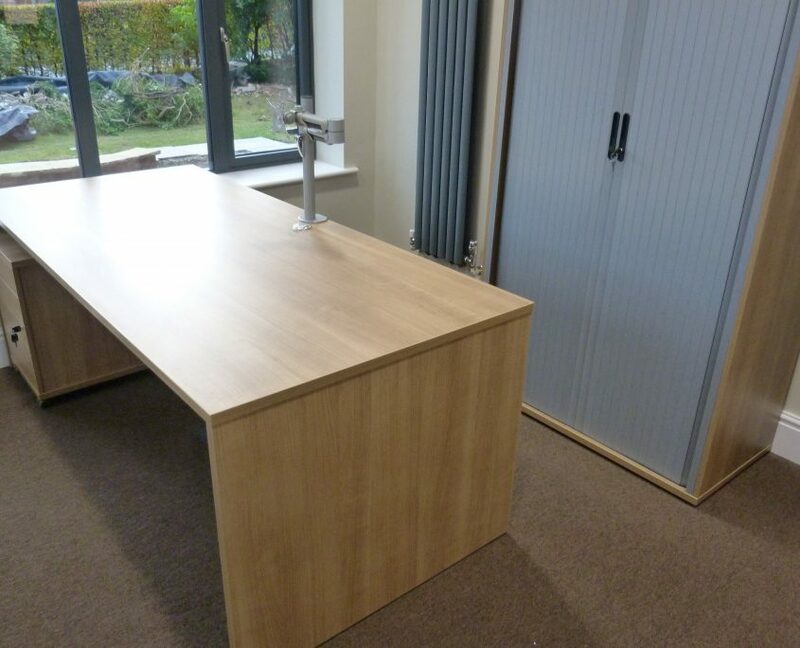 In the main offices we have supplied pure straight desks on silver frames with mobile pedestals that open at the side underneath, these all in santiago cherry finish. 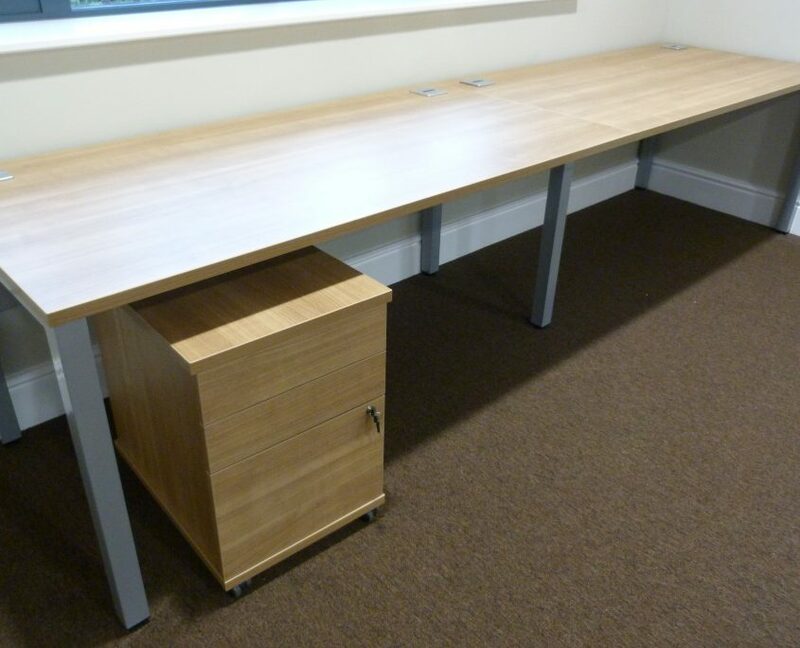 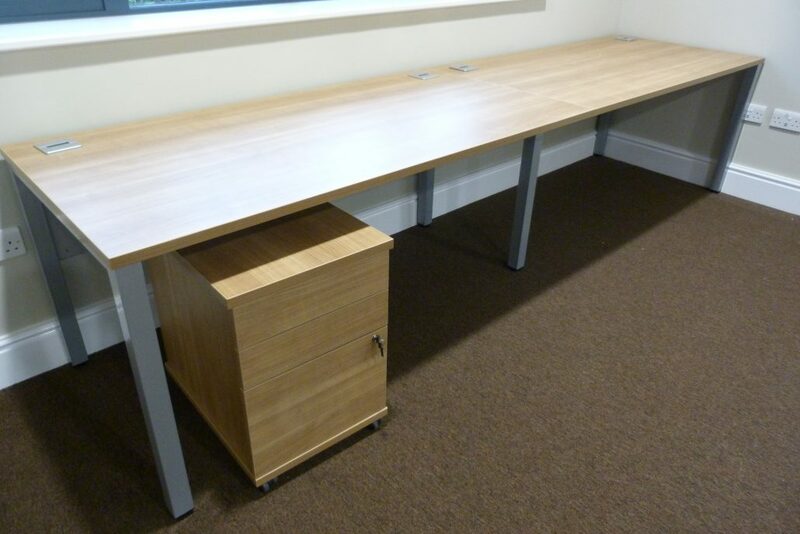 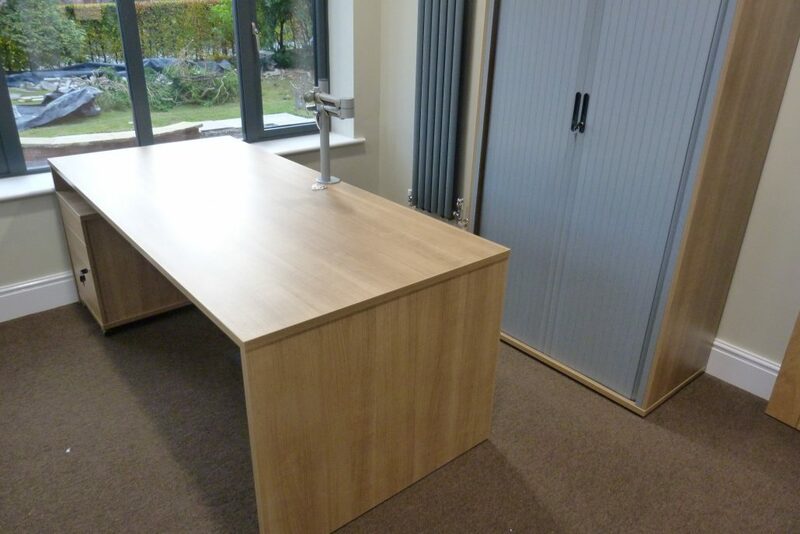 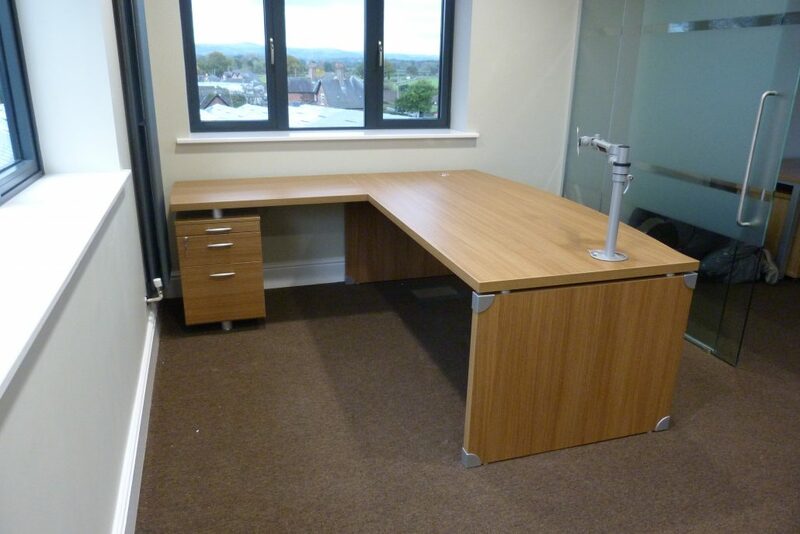 Another executive desk supplied for this office furniture design was from the Xtime works range, it is a left hand desk with fitted pedestal on stop legs this also supplied with a monitor arm and in santiago cherry. 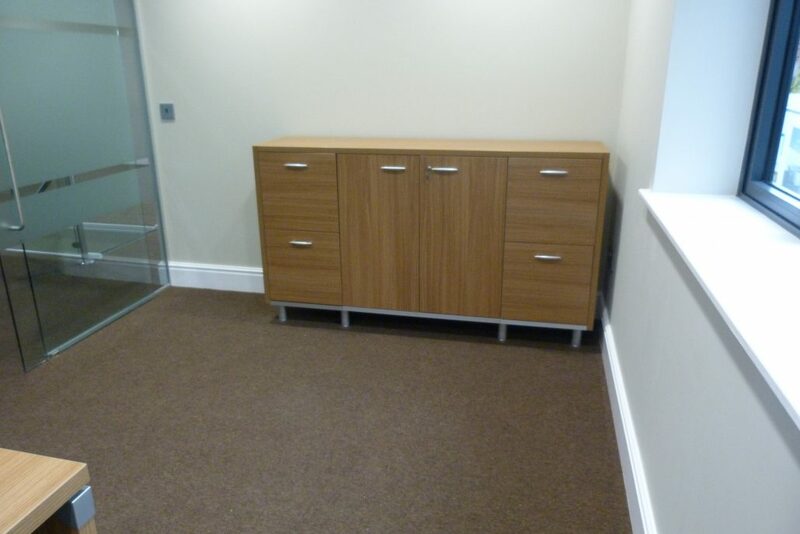 In the same room is a credenza to match to help with storage. 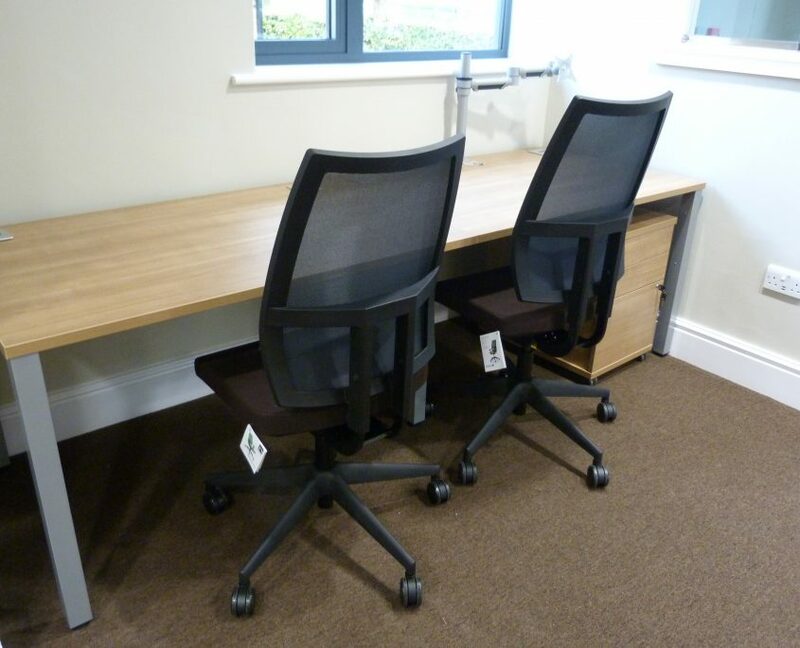 The operator chairs supplied in black and brown are the pepi mesh chairs with no arms. 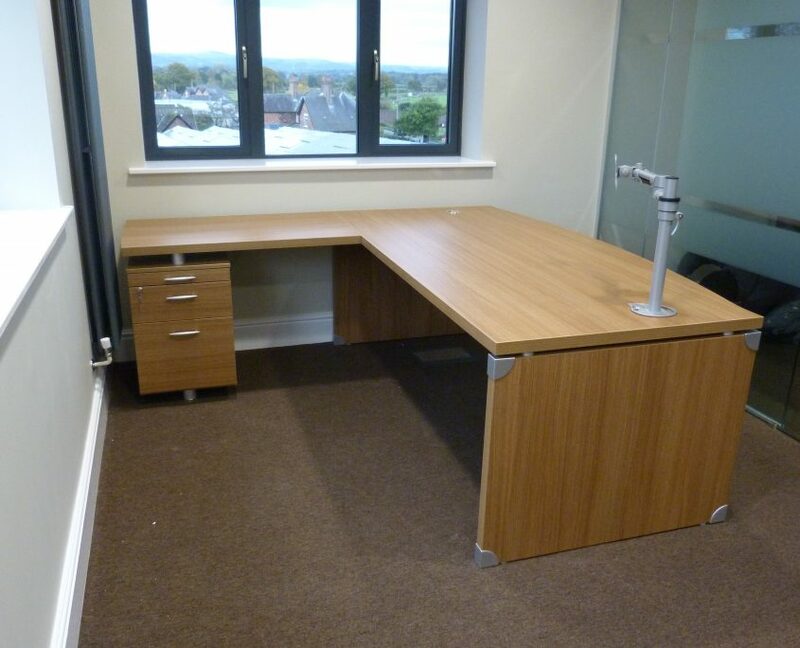 Overall the office furniture design for the office was an executive, sophisticated look. 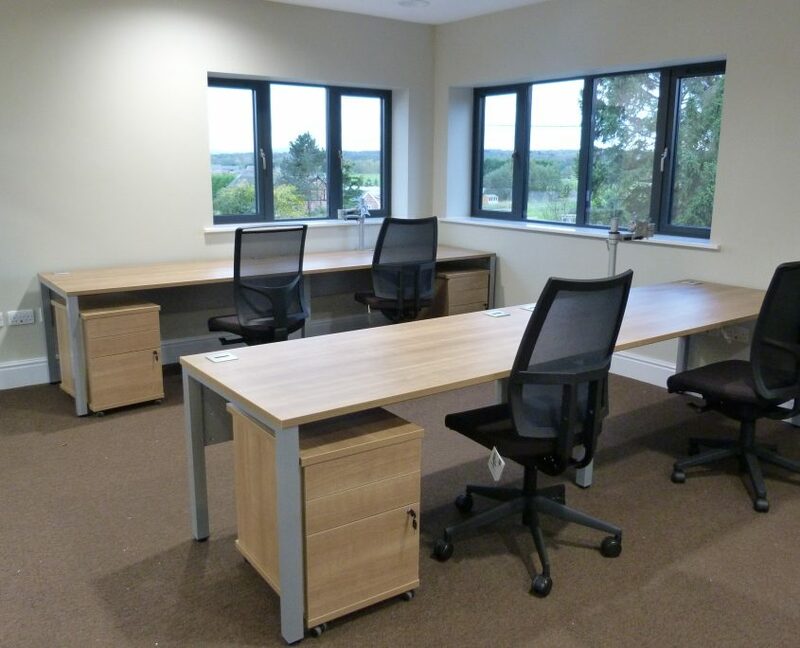 We can help with your office furniture design from space planning to then delivering and installing the office furniture for you. 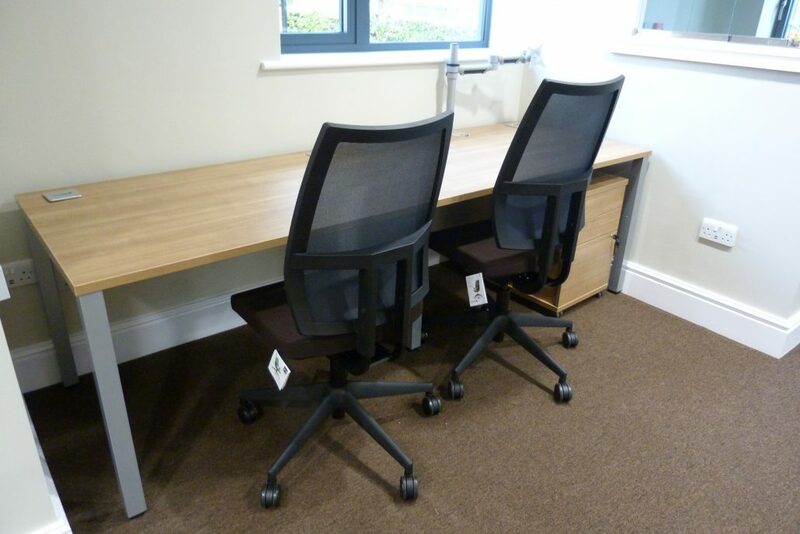 Contact us now to get your office furniture design started.